Ann Coulter disgusts me in the extreme. After the president of the United States caved in on The Wall demand he had said was essential to protect Americans and which forced the partial government shutdown, Coulter — the conservative firebrand — offered a hideous Twitter message. Coulter offered a form of “congratulations” to the late President George H.W. Bush, who she said is “no longer the biggest wimp” ever to serve as president. The nation recently honored the 41st president for his courage in service to his country during World War II, for his statesmanship, for his decades of dedicated public service as vice president, CIA director, congressman, U.N. ambassador, special envoy to China and as president. Ann Coulter makes me sick. What in the name of human decency — which he doesn’t possess — is Donald J. Trump trying to assert with this latest idiotic declaration? He said this week that “most federal employees are Democrats” and said they are those who are most concerned about the partial shutdown of the federal government. They have been furloughed, not getting paid, which I guess in Trump’s mind means that congressional Democrats are more liable to support those workers because of their party affiliation. Is that what he means? The president’s idiocy prompts a couple of questions. What difference does it make which party they identify with? Why does it matter whether they’re mostly Democrat, mostly Republican, mostly socialist, communist or Whig? Is the president trying, therefore, to lay all the blame on Democrats as a way to deflect the criticism that is coming directly at him and those in his political party? Let’s recall briefly an element that preceded this shutdown. Senators voted 100 to zero to approve a spending bill that did not contain money for The Wall. They sent the bill to the House of Representatives, where House leaders agreed in principle to send the measure to the president’s desk. Then the president got a snootful from right-wing radio host Rush Limbaugh and right-wing gadfly Ann Coulter. Then Trump changed his mind and told GOP lawmakers that he wouldn’t sign the bill after all. I have to ask: To what end does he intend to take this ridiculous assertion? Donald J. Trump has spared little effort in disparaging the leadership of his immediate presidential predecessors. He actually has praised dictators such as Vladimir Putin and Kim Jong Un as being “strong leaders” who govern with iron fists while denigrating the leadership of our own president at the time, Barack Obama. So . . . how did the current president “lead” as it regarded the government shutdown? 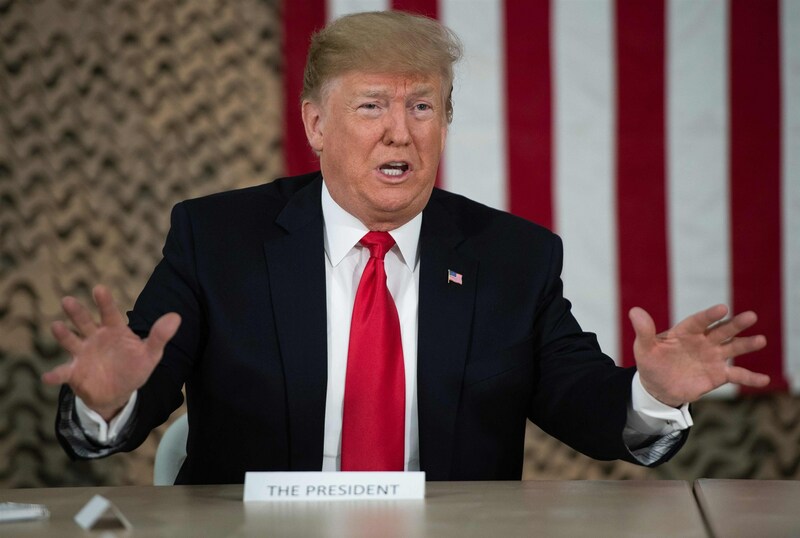 He agreed with a Senate deal that he assured leaders he would sign, even though it didn’t contain money for “The Wall” he wants to build along our southern border. Then right wing blowhards such as Rush Limbaugh and Ann Coulter blast him for “caving” to Democrats and sensible Republicans; they want the wall built, period! They made their displeasure known to Trump. The president then caved to them! He reversed course! He took back his pledge to sign the bill. Then he blamed Democrats for failing to achieve a compromise. Is that how we define leadership? Is that the mark of a strong leader? Is that how a committed statesman governs? Donald Trump has demonstrated jaw-dropping weakness. In the face of political pressure, he kowtows to a radical right wing radio blabbermouth and a right wing commentator known for her intemperate utterances about anyone with whom she disagrees. Oh, and then we have the James Mattis resignation as secretary of defense as well. Are you frightened yet? If so, you are part of a growing number of Americans. Actually, I am forced to acknowledge that such intolerance is real and it exists in the most unsuitable places: colleges and universities across the United States. Ann Coulter, a fiery conservative columnist and TV pundit, was supposed to speak to students at the University of California-Berkeley. Then the school canceled her appearance, citing “security concerns.” UC-Berkeley took back the cancellation and then rescheduled Coulter for another date. Coulter might not speak after all. She contends she has scheduling difficulties that will keep her otherwise occupied. When did universities become so exclusive? Students who want to hear from Coulter now are threatening to sue the school. All of this is a symptom of the intolerance that grips colleges and universities. There can be little doubt about that, in my view. Coulter is provocative. That is her shtick. She likes to stir people’s emotions and she’s quite good at it. Coulter also is a darling of the conservative media in America and is no friend of liberals, many of whom run our nation’s major university systems — such as the University of California. This kind of uproar shouldn’t exist at these institutions of higher learning. Security concerns? Are they real or imagined? Universities should be a place where all points of view from across the broad political spectrum are welcome. Should every student, faculty member or college administrator embrace every point of view expressed? Of course not. But neither should they reject them outright because they might be, oh, politically incorrect. 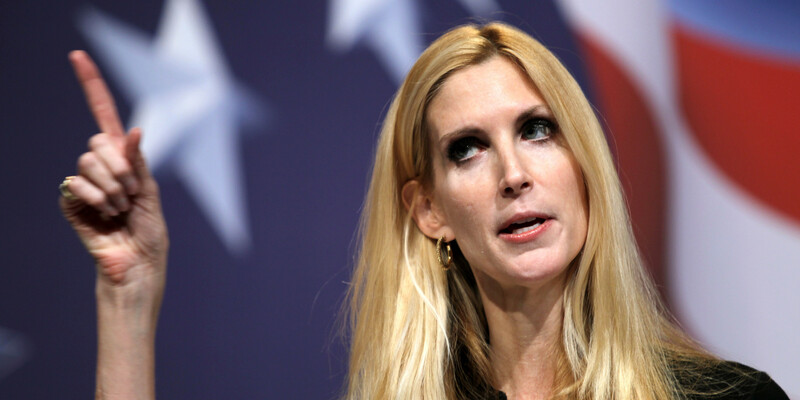 All this hubbub about “security concerns” regarding Ann Coulter looks and sounds like a dodge that masks the real motivation, which is to silence a leading conservative voice. We can argue until we all run out of breath about whether Coulter deserves the standing she enjoys among conservatives. The fact is that she is part of a political movement that isn’t to my particular liking. She still deserves to be heard. After she speaks, then let the students and their professors argue among themselves about what she has said. Who knows? They might learn something from each other. Ann Coulter’s political expertise is, shall we say, quite suspect. The latest exhibition of her ignorance surfaced this weekend when she tweeted that the Paris terror attacks have guaranteed Donald Trump’s election as the 45th president of the United States. Someone, pass the smelling salts to the fiery conservative commentator and make her take a whiff. In the hours since the attacks — in the midst of this political season — one of the key questions has become: How does this hideous event affect the presidential contest? Well, the Pundit Class in Washington and around the country has been virtually unanimous in this regard: The attacks expose Trump’s utter lack of experience dealing with international terrorism. His empire-building experience won’t help him. Trump’s self-proclaimed ability to “negotiate” deals will be of zero value; we don’t negotiate with monstrous killers such as the Islamic State. Yet, there was Ann Coulter — the darling of the far-right talk radio listening audience, blathering on her Twitter account that Trump’s election is a sure thing. We need someone with actual experience in government and/or diplomacy — and someone who gathers his or her military knowledge from sources other than Sunday morning new talk shows — to take the reins as commander in chief. My own advice to Ann Coulter? Shut the bleep up! It’s astounding how pervasive politics is these days. Now it seems, according to one blogger at least, that conservatives have a problem with soccer more so than liberals or moderates. They call it boring, I guess because there’s usually so little scoring associated with it. Radio talk-show gasbag Ann Coulter said something the other day about Americans’ infatuation with the World Cup is a sign of “moral decay.” Huh? By my way of thinking, a surer sign of moral decay is taking seriously the idiotic pronouncements of Ann Coulter. I’m not a soccer fan — as in fanatic, from which the word “fan” is derived. I’ve watched some of the matches from Brazil. I enjoyed watching the team from Greece — the home of my ancestors — beat Ivory Coast in a thriller and move to the round of 16. I’ve gotten a kick out of the fans’ reaction when Brazil scores a go–o-o-o-a-a-a-a-a-l-l-l-l-l! And of course I’m enjoying how our American team finds ways to win while losing and advancing into that round of 16 “knockout” phase of the World Cup. Is all of this a sign of moral decay? Does it matter what conservative talking heads think about soccer, or the World Cup? Not in the least. When it ends, I’ll return to watching American-style college football and baseball. That is, of course, unless the “U.S.A!” wins the World Cup.